Europe’s premier meeting event for clusters returns. 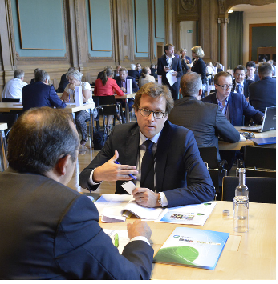 Last year’s conference in Copenhagen attracted more than 150 clusters from 32 countries resulting in 544 cluster-to-cluster matchmaking meetings. The last two years the event has been sold out. The 4th edition will be just as exciting. Excellent matchmaking opportunities with Europe’s leading cluster organisations; Lots of networking opportunities; a thrilling interactive programme and a vibrant atmosphere. Cluster mangers and key cluster staff from clusters with at least a bronze label according to the European Cluster Excellence Initiative (ECEI). network and build common projects. matchmaking is powered by Enterprise Europe Network. Matchmaking, networking and knowledge sharing require the right surroundings. We have found that in the heart of Warsaw. The mansion Endorfina Foksal was built in 1875 and has successfully been turned into a top-modern spacious conference venue. Werner Pamminger, CEO at Clusterland Upper Austria: Werner will present insights into the international journey of Clusterland, one of Europe’s leading cluster organisations. For a number of years he was cluster manager at Clusterland - Plastics Cluster so he has in-depth and hands-on knowledge of international activities. Jacob Mogensen, Cluster Manager of the Danish Innovation Network for BioMass (INBIOM): INBIOM has great international results both within Europe and beyond. Jacob will showcase their successful work on bridging the gap between the Danish and Chinese biomass industry and reveal the true story behind the success. Simon Poulsen, Coordinator Enterprise Europe Network: With more than 150 funded EU-projects Simon is one Europe’s leading fundraising experts. 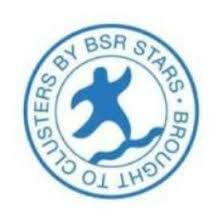 Many of the projects involve clusters. He will share his best tips and tricks on EU-funding while facilitating our International Project Labs.